UncategorizedWhat are the differences between forced and natural carbonation ? Forced and natural carbonation are both different. One month ago ,i published a detailed article about it. This article clearly explain the natural and forced carbonation meanings and process (https://sinobatoo.com/2018/12/25/forced-and-natural-carbonation/) . Natural carbonation comes from the fermentation process. Yeast and priming sugar are added to the beer . And then a secondary process in the cask produces CO2 . Nowadays, this natural method switch to the artificial process of carbonation . Forced carbonation is the process of forcing CO2 pressure into a sealed tank or keg . Now this new article gives you an overview on their differences regarding some aspects . The level of carbonation is of a great importance for your brew. It varies from one beer to an another one. As a home brewer,you can do the carbonation in a beer keg . As well in a metal growler. With bottle conditioning, you need to wait around two to six weeks in order to get a carbonated beer. However , beer with natural carbonation have a short shelf life due to the presence of yeast. Over the years, this new method was found and significantly decrease the waiting time to have a carbonated beer.The forced carbonation diminish the usual time you have to spend when brewing beer. You can carbonate your beer in few hours. 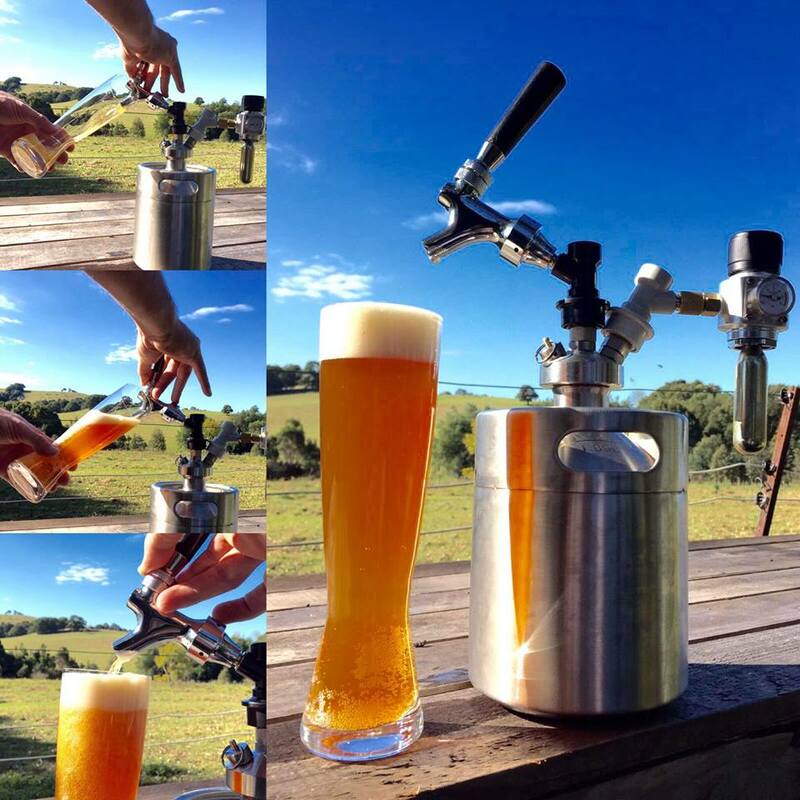 It is the fastest way to add CO2 gas into your beer . Although we use less time for this method, but it needs more C02. This is very common now in bars , restaurants or even in homes. With this process, home brewers , brew master . Or bartenders can deliver frequently a carbonated craft beer . Both to their relatives or customers without waiting a long time. Beer consumers pay more attention to the impact of carbonation on the beer’s flavor. When the air in the keg is replaced by the C02 gas, it cannot be flat. Also, the right level of carbonation at the right temperature can ensure the freshness of your beer. So you can get a sparkling beer. The mouthfeel is different with the two ways. The beer with a natural carbonation is smoother in the mouth than the beer with the force carbonation. This is due to the secondary fermentation which creates a delicate carbonation . Also it gradually enhance the flavor . Once you serve your beer, you should drink it in the following minutes or hours .Otherwise the taste will be different than what you have expected . Carbonation gives an another aspect to the beer . It has a great impact on the final output of your craft beer. Without the CO2,beer is flat. It is the presence of this gas inside the beer that allows to have bubbles on the surface of the beer cup. The more the presence of CO2 is inside , the more the fizz is visible in the beer. Cask-conditioning has less fizz. The bubbles are smaller for a beer who has natural carbonation. On the other hand, force carbonated beers have more fizz due to the artificial carbonation process. The combination of cold temperature and C02 inside beer produce its fizz .